2011 Mercedes E350 4Matic black with only 81,000 miles. This is a great running and looking Mercedes, it has the fuel efficient V6 engine, automatic transmission, electric windows, electric locks, tilt steering, cruise control, heated leather seating, power sunroof, AM/FM stereo with CD player and Navigation, and Ice Cold A/C. It also has beautiful black aluminum wheels, and like new tires. If you would like to see this beautiful Benz, PLEASE CALL TODD AT 303-941-3950 FOR APPOINTMENT. 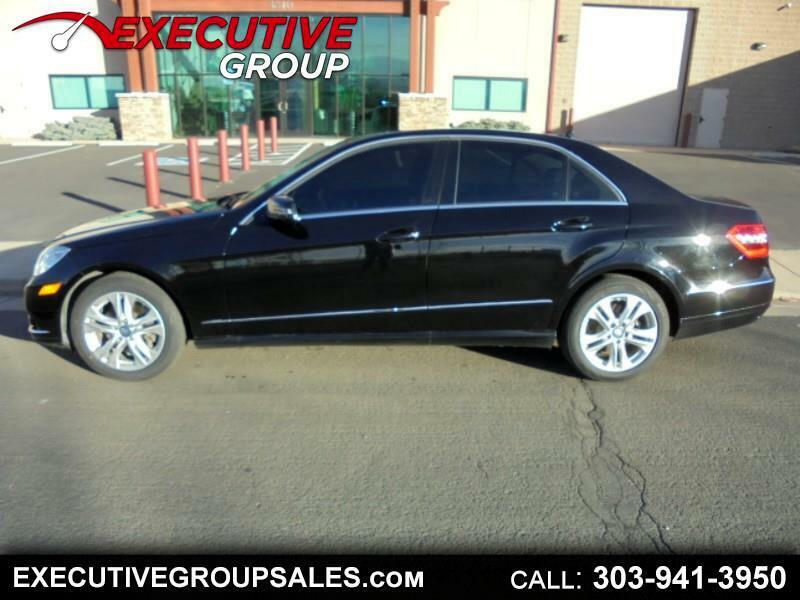 Visit Executive Group online at executivegroupsales.com to see more pictures of this vehicle or call us at 303-941-3950 today to schedule your test drive.